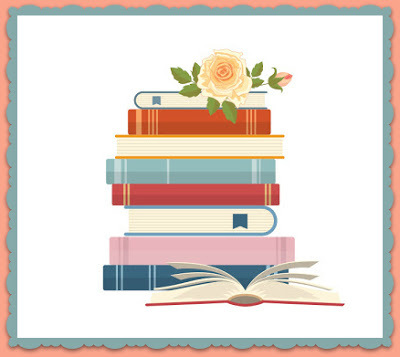 Enter this giveaway for a chance to win books of choice worth $35. Good luck! I am looking forward to reading City of Ghosts by Victoria Schwab.It sounds like a really good read. I love Katie Ruggle's Rocky Mountain K9 series and the fourth book comes out this month! I am pretty excited about Two Dark Reigns by Kendare Blake, since it's the 3rd book, and things got really interesting in the last one. The Cruel Prince book 2 because I loved the first book! Falling for You because I like sweet romances. King of Assassins is released this month and I'm really looking forward to it - the finale of a great trilogy! A Sorrow Fierce and Falling by Jessica Cluess. This is the final book in the trilogy and I cannot wait to find out what is going to happen! The Good Luck Charm by Helena Hunting because it sounds good. Thanks for the fabulous giveaway. I am not sure what book I would pick up. Tana French's latest 'The Witch Elm' is out in October. I'm a massive fan of her Dublin-set crime novels but this one is a standalone. She has a great way with words and writes about things that could happen to anyone if you're in the wrong place at the wrong time. "The Clockmaker's Daughter" by Kate Morton - looks and sounds like a fabulous read. The Possible World by Liese O'Halloran Schwarz. An unputdownable book! I highly recommend it! Transcription by Kate Atkinson, I thoroughly enjoyed her Jackson Brody detective novels. This new one is about a female spy, recruited by MI5 at age 18, sounds exciting. Thirst of Steel by Ronie Kendig! I enjoy her writing style. When We Caught Fire by Anna Godbersen, I've enjoyed her books in the past so that's why I'm looking forward to reading this one as well. "What's your most anticipated second half of 2018 read and why?" "The Masterpiece" by Fiona Davis sounds like an intriguing story of art and Grand Central Terminal! What If It’s Us by Adam Silvera and Becky Albertalli. I love both authors and I simply can’t wait to read this book! Dirty Headlines by L.J. Shen. I love her stories. I've read all of her books and she never stops to amaze me. Hold You Close by Melanie Harlow & Corinne Michaels; I'm a big fan of Melanie Harlow's books and it sounds like an amazing read! Two Dark Reigns (Three Dark Crowns #3) by Kendare Blake. I loved the first two books in this series. The last Throne of Glass book! Eeep. Campfire by Shawn Sarles and James Patterson sounds really good. The premise sounds cool and creepy. It would be great for the month of October!